The 2016 AFL Youth Oceania Cup junior football carnival gets under way this morning in Suva, Fiji. 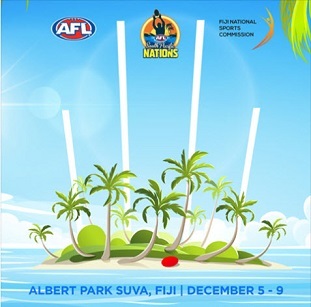 Teams and players from 5 South Pacific nations will compete in the most significant tournament for a number of years. The Fiji Sports Commission has provided support for this years event – that sees an extended programme across the first 2 weeks of December. The traditional U/15 boys tournament plays out this week and the 5 competing nations are Fiji Jnr Tribe, Nauru Stars, Solomon Islands Sharks, Tonga Thunder, Vanuatu Volcano's. There will also be a girls component with Fiji junior Vonu girls academy matches played Dec 8 & 9. The following across the end of this week and early next week an Australian U/14 ‘Wanderers’ squad plays the Fiji U/14 Juniors in a 4 test series with matches Dec 8 & 9 and then again Dec 14 & 15. In the U/15 boys, the hosts Fiji are optimistic about their chances of taking it right up to the defending champions in Nauru. 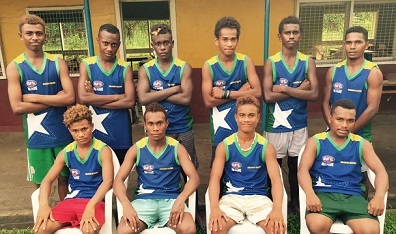 As reported Sunday in the Fiji Times with AFL Fiji Development officer Simon Highfield indicating that the side has prepared well. Fiji last won the title in 2014 and before that 2012. Earlier incarnations of the tournament included NZ and PNG however the structure now sees this competition as the primary selection trial for the South Pacific Nations team which after incorporation of PNG and NZ players sees the full squad to compete in Australia. 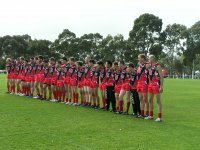 The defending champions – the Nauru Stars – resplendent in their Digicel and Bendigo Bank sponsored uniforms were on the verge of frustration due to lack of Government support and high airfares – however families have dug deep to get the squad airborne. Nauru also won in 2013 and will continue a developing healthy rivalry with the Fiji Tribe. The Nauru Stars squad of 24 is based on merit and also discipline with some players clearly good enough having missed selection on disciplinary grounds. Tonga as well have faced financial troubles and have arrived with a reduced squad - but todays Fiji Times reports team manager Matani Nifofa that after beginning the preparations way back in January that they are happy to be here (in Fiji). There was extra effort to avoid any overage players (an issue last year).